Rated 5 out of 5 by never_tied from Simply the best... ...better than all the rest! Seriously though, the Raptor SD has exceeded all of my expectations. We bought a property that had been severley neglected for years. 3.5 acres of buffalo grass and some fescue. This machine turned it into the property we'd hoped for in just a few mowings. The 54" deck is tough and durable. The mower has plenty of power and runs like a dream. The hydrostats are the smoothest I've ever operated. We are up to 24 hours on it and it hasn't missed a beat. The 0% financing was a no brainier as well. Do yourself a favor and take one for a test drive, then buy one. One note, I did add the engine guard, a necessity for the trees and bushes I have to mow around. Rated 4 out of 5 by CTodd from Very good mower I bought this mower in August of 2016. It mows great. The only issue I have with it is the grass sticks to the underside of the deck very badly. I mow in the afternoon when the grass is very dry. If you don’t lift the mower and scrape the grass out every time you mow, after the second mowing, the grass buildup will total about 4” thick. My previous mower didn’t do this. I could mow all season and have only about 1/2” of grass buildup. The deck is very heavily built but the grass buildup is terrible. The grass “bonds” to the underside so bad that when you scrape it off with a plastic putty knife, it pulls the paint off. Rated 3 out of 5 by Big boy from Quality problems I purchased a Raptor 54” machine on Aug 2, 2018. I purchased it from Lowe’s and it was delivered in two days. I checked the oil, added gas , pulled up on the choke button and the rod came completely out. I had to manualy move the choke to start the engine. I returned the mower, and was given a replacement. The first time I engaged the mower deck, the engine cut off. I tried again and smoke came from the deck. The problem was the drive belt was under the pully, and the belt was damaged. It appears the belt was never on the pully. The machine is made well but these quality problems exist. I finally purchased a 60” Raptor that works great! Rated 5 out of 5 by Jdwayne from Awesome machine!! I purchased my new Hustler SD a few months ago from a servicing dealer and this is my first zero turn mower experience. Wow is this thing fun! I love the Kawasaki engine (easy starting w/manuel choke). I mow my yard in half the time that it used to take on my old mower, but it's so much fun I find myself mowing it twice a week instead of once! I bought the SDX because I liked the extra wide tires it has front and rear, as well as a more comfortable seat. I also like the easy mower deck adjustment that Hustler has, easy and fast! I highly recommend the Hustler brand if you're looking for a well built fun, fast mower!! Bob, please visit your local dealer to find a resolution to this problem. I have a Raptor 52&quot; mower and do not see anywhere in the instructions anything about lubricating the mower spindles. Did I miss somethings? Mr. V. The spindle bearings are sealed, nothing to grease! 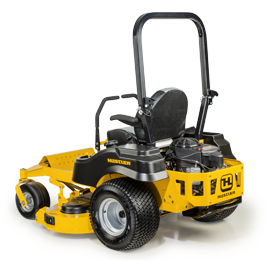 The only residential mower that comes with a ROPs is our FasTrack mower. It's suggested use is for mowing three acres or more. The Raptor SD does not come with a ROPs, and it is not an option. Thanks for submitting. Does the engine of a Raptor SD 54'' cut use 10-30 or 10-40 oil? I HAVE A RAPTOR 42&quot; SD, THE SERVICE MANUAL OFFERS MANY BLADE OPTIONS, WHAT DOES THE CODE STAND FOR, AND WHAT STYLE COMES AS ORIGINAL EQUIPMENT. Low Lift Blade (L) -adequate for shallow decks and most consumer applications. Can be used to reduce blowout or deck packing in some conditions. Blade lift measures .79&quot;. Medium Lift Blade (M)-provides additional vacuum for consumer decks. Blade lift measures .95&quot; High Lift Blade (H)-standard blade for many deep decks. Provides more vacuum for better finished appearance. Blade lift measures 1.09&quot; Extra High Lift Blade (EHN)-provides lift required for high velocity style decks. Blade lift measures 1.20&quot; Catching Blade ( C )-generates energy required to transfer grass to bagging systems where there is no external blower. Blade lift measures 1.50&quot; Wavy Mulch Blade (MUL)-has both a positive lift on the outside of the blade and a negative lift toward the inside of the blade. This serves to agitate the grass inside the deck to bring it into more contact with the cutting surfaces and thereby reduce clipping size. While this is primarily for decks with mulching kits installed, using a wavy mulch blade in side discharge mode also reduces clipping size. Gator Mulch Blade (GAT)-has grooves cut into the blade sail to create multiple edges where the material can be recut. 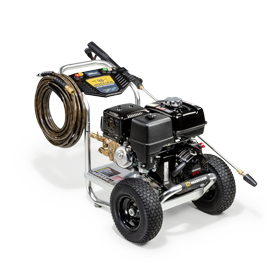 It can be used in catching, side discharge and mulching modes but is particularly effective in reducing the volume of dry leaves in fall cleanup. Sand Blade (S)-available only in 20.5&quot; length. The shape of the sand blade helps minimize blade wear at the radius between the flat portion of the blade and the inclined &quot;lift&quot; section. Blade lasts about two times as long as a High lift blade. The sand blade should also help with reducing deck wear in sandy conditions. Hi JoJo. The width of the mower with the chute up is 37.3&quot;. If you have further questions about size and specs, you can go to our mower compare tool on hustlerturf.com. Thanks for buying Hustler brand! what is the flashing sign in the hour meter? The hour meters flash every 25 hours as a service reminder.